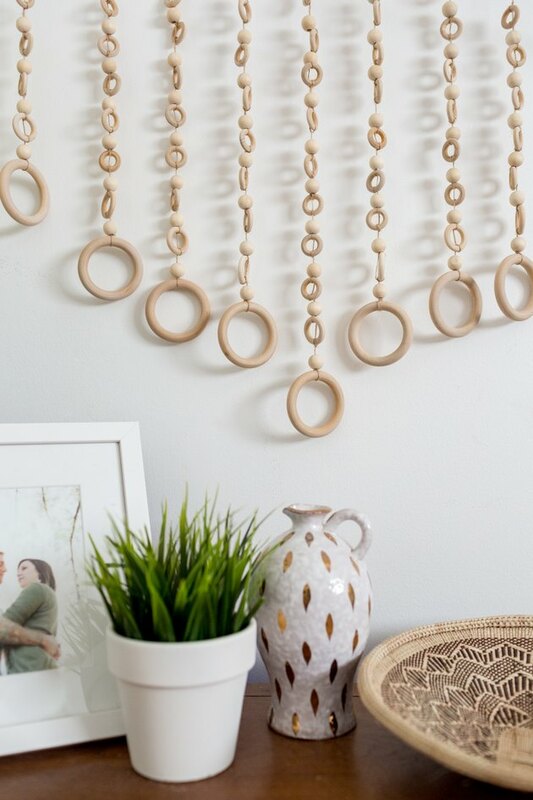 A touch earthy, a touch minimalist — this DIY wood wall hanging is a perfect fit for a variety of decor styles, be it contemporary, boho-chic, or eclectic. 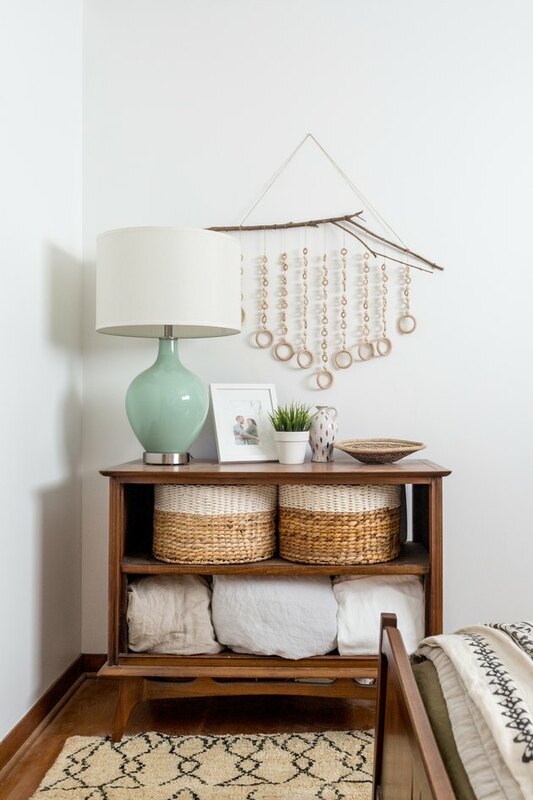 And best of all, you don't have to be a crafting genius to make this art piece. 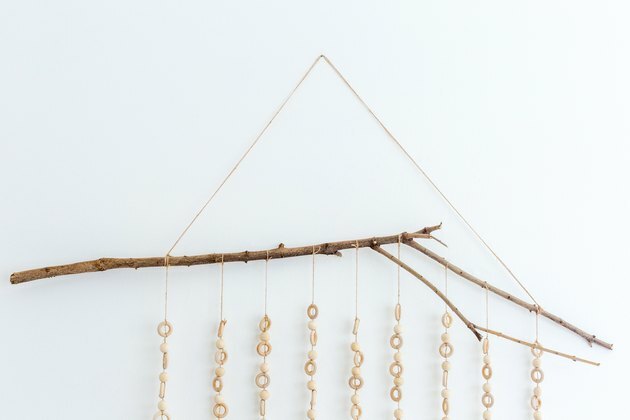 All you need are a few simple materials: neutral wood beads, rings, twine, and a found tree branch. 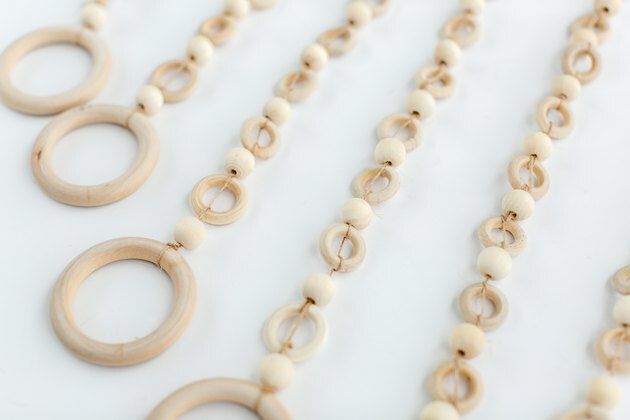 Lay the wood rings and beads out on a flat surface until you're happy with the design. 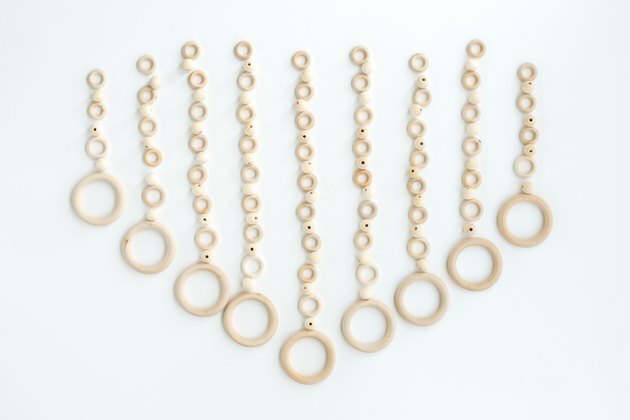 For this project, we started in the middle, with one large 68 mm ring, one medium 33 mm ring, eight smaller 25 mm rings, and nine beads. As we moved outwards, we decreased by one smaller ring and one bead for each column. There are nine columns of hanging rings and beads altogether. 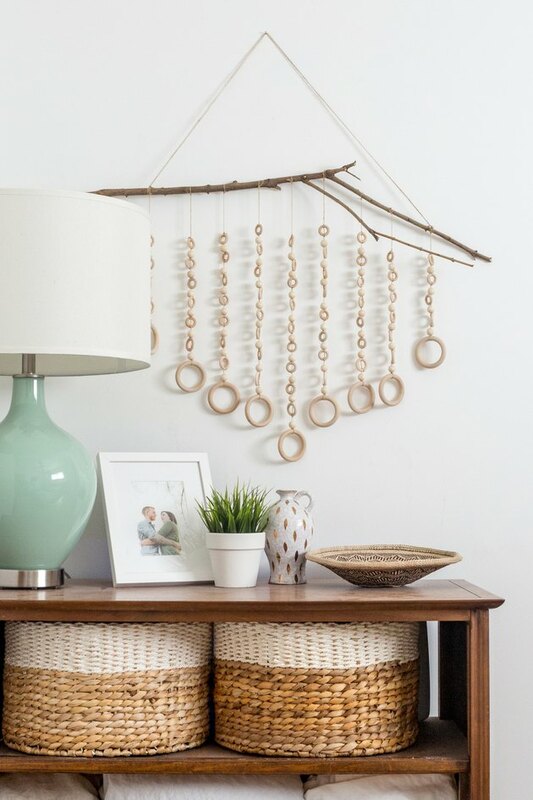 Cut lengths of twine to match each of your individual strands. 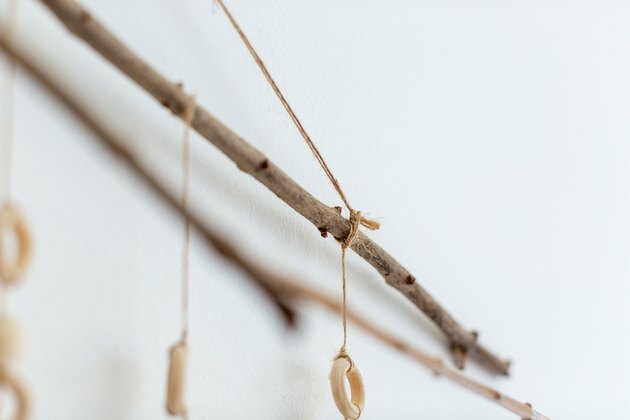 Be sure to cut the twine twice as long as the design you laid out to account for knotting and any extra you might need for the next step. 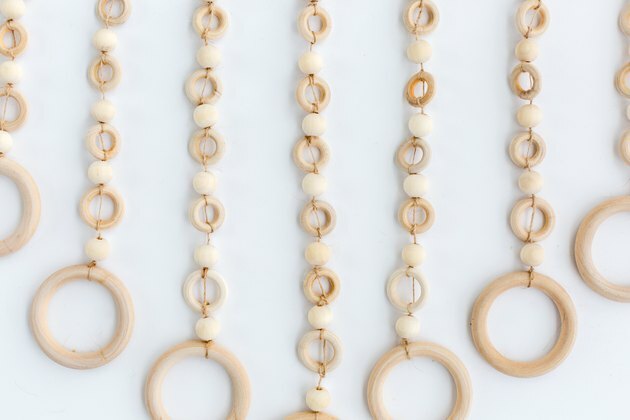 Knot the wood beads and rings in each strand together using the cut lengths of twine. Tie the strands a few inches apart onto your tree branch. 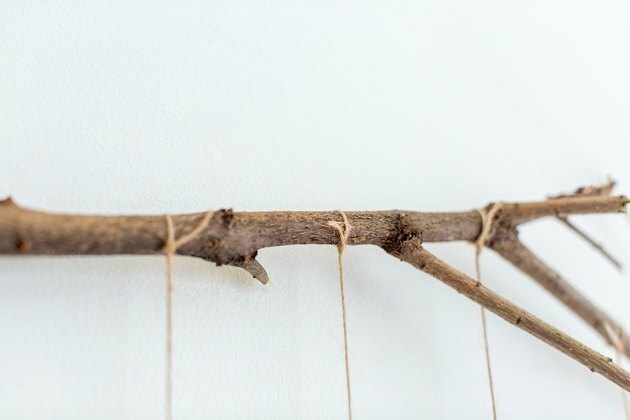 We used one cut from a tree in our backyard, but you can buy a piece of ready-made driftwood if you'd prefer. 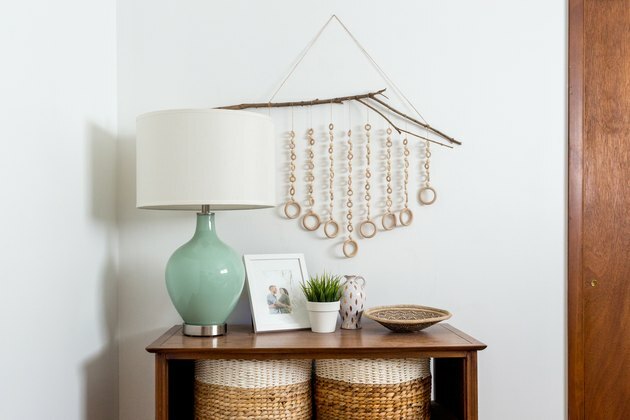 Hammer a picture-hanging nail into the wall, and hang your wall art. 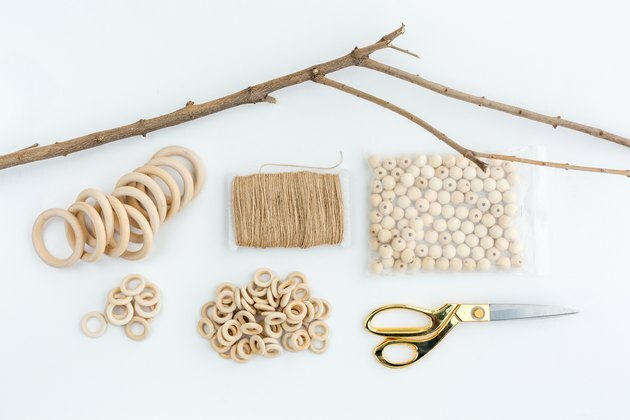 Trim any excess twine using scissors. Now you have beautiful, simple art that was, admit it, so easy to make.